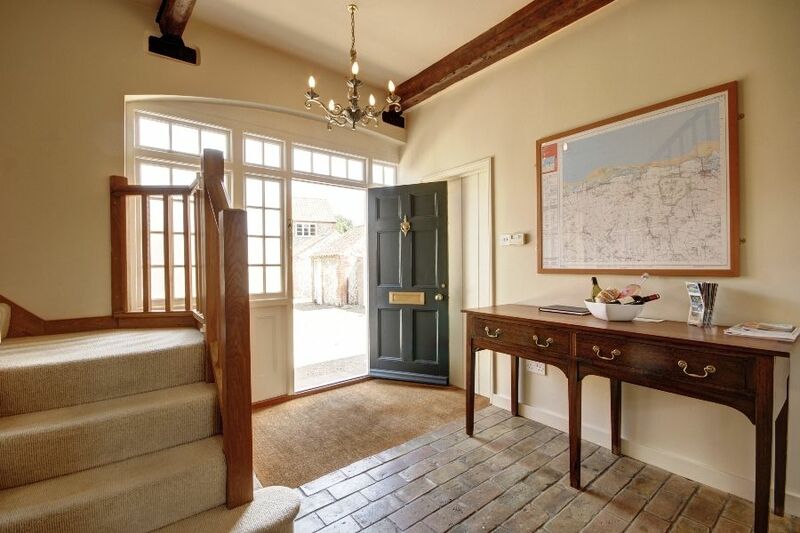 The house is beautifully presented and extremely well-maintained by its owners. There is the advantage of underfloor heating and central heating making this a warm and comfortable place to stay throughout the year. Garden Room: a lovely room opening out to the garden with a dining table and chairs, drinks fridge. Doors to garden. Utility Room: Washing machine, tumble dryer, Belfast sink. 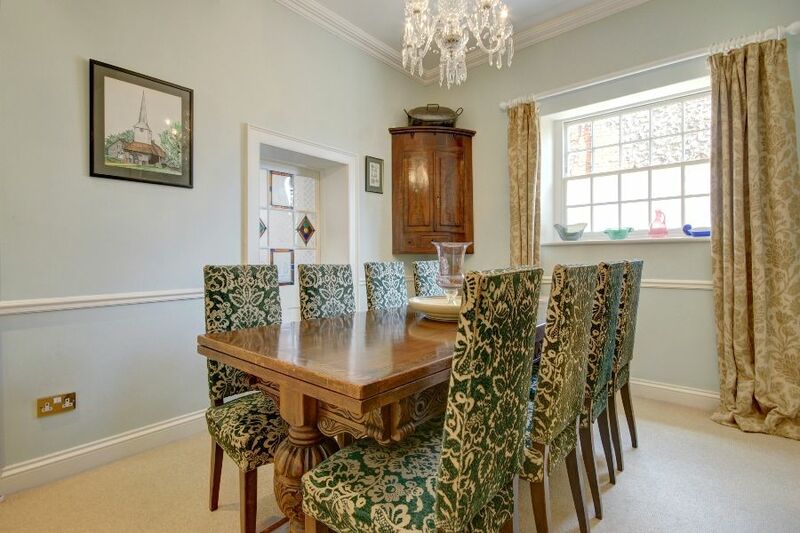 Dining Room: Formal dining table and 10 chairs, attractive period fireplace (not working). 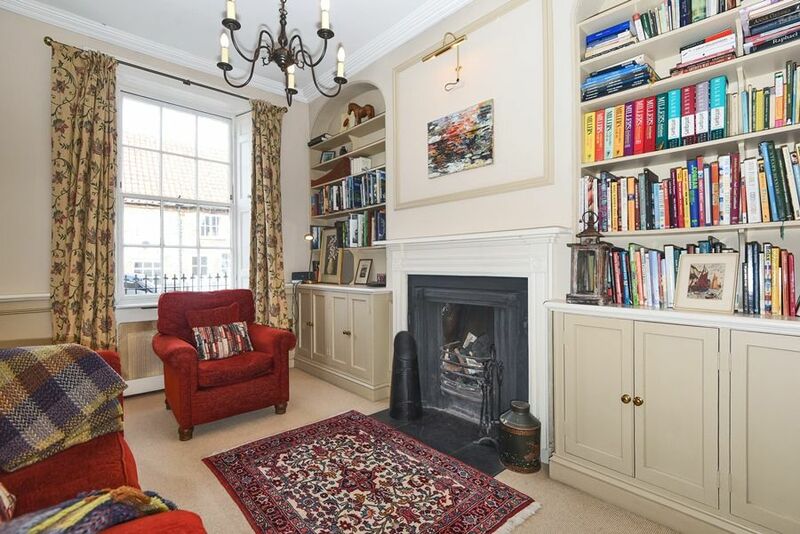 Sitting Room: Open working fireplace with logs and coal provided, sofa, armchairs, Sky HD TV, DVD/Blue Ray player. 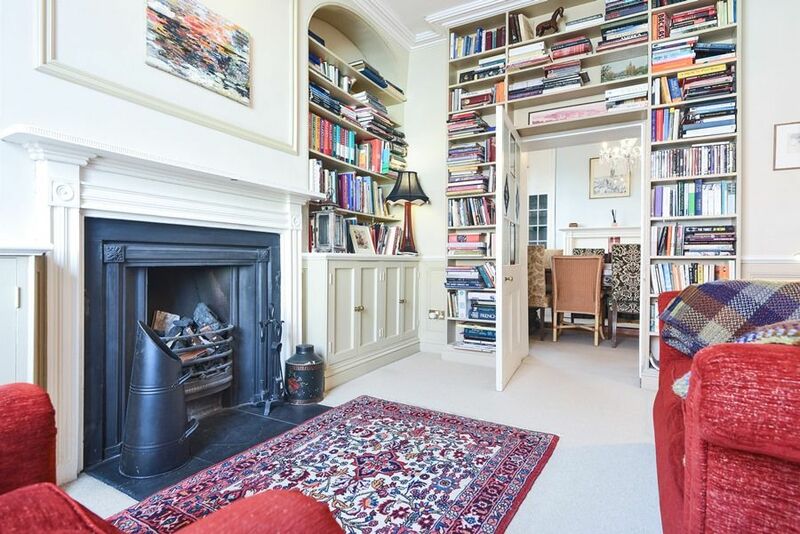 Library/Snug: Ornamental fireplace, sofas, books and games. There is fibre optic Wi-Fi in the property. There are two staircases, neither are steep and the main staircase has stairgates at the top and bottom. 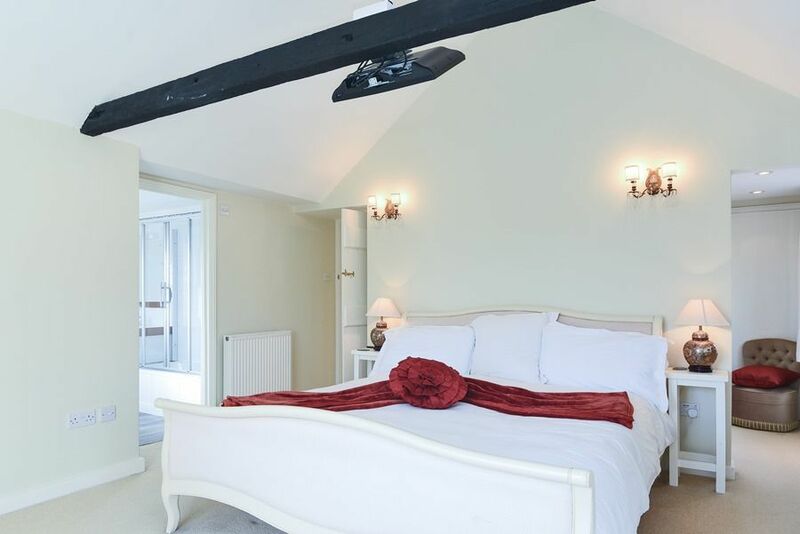 Bedroom 1: Super room with a Juliet balcony overlooking garden, a super king-size 6' bed, bedside tables and lamps, TV. Dressing Room and en-suite bathroom with power shower cubicle over bath, basin, heated towel rail and WC. 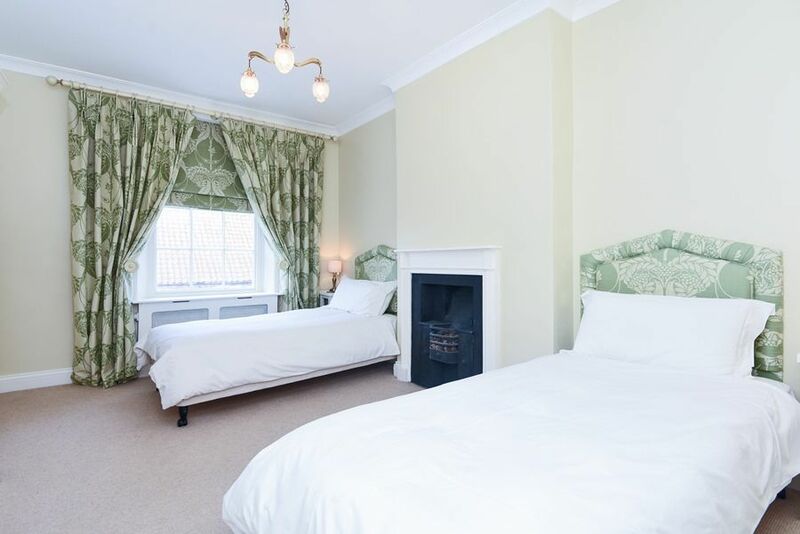 Bedroom 2: Double bed, bedside tables and lamps, chest of drawers. 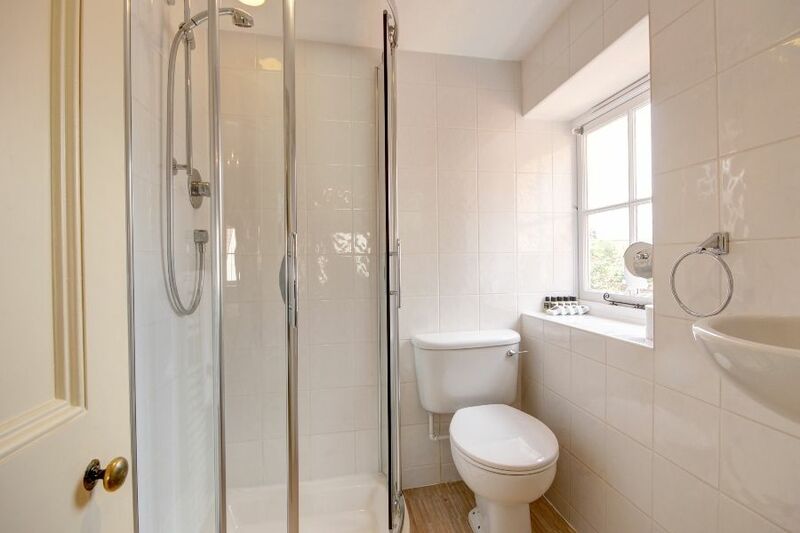 En-suite shower room with power shower, basin and WC. 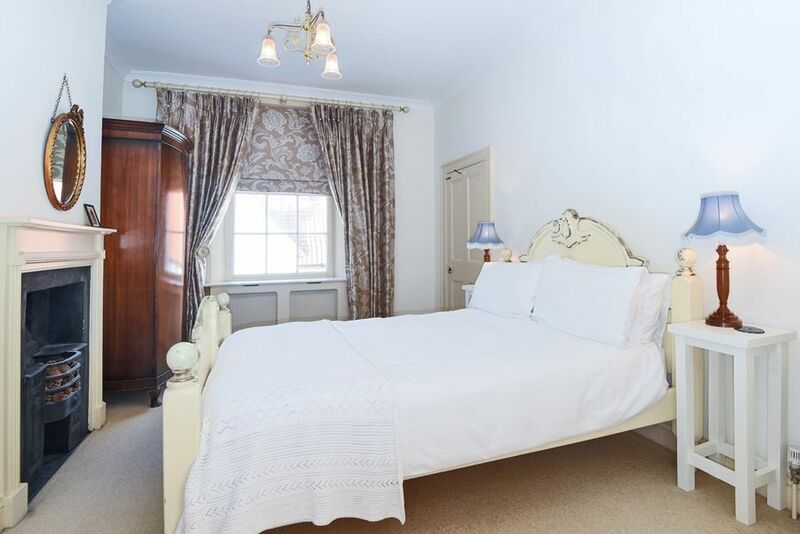 Bedroom 3: Lovely spacious room with twin beds, bedside tables and lamps, chest of drawers and wardrobe. 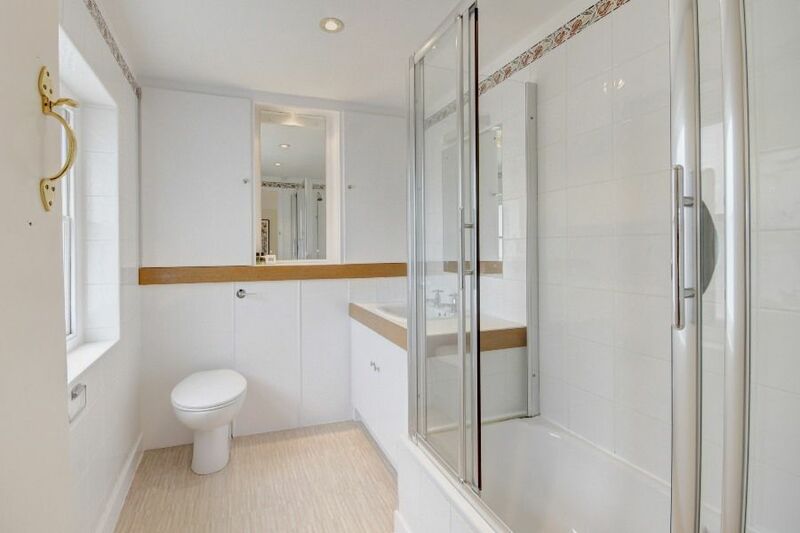 Family Bathroom: Newly fitted in 2019 with a large contemporary walk-in shower with drencher head, heated towel rail, hand basin and WC. Noble Isle toiletries are provided in the bathrooms. Travel Cots, highchair and stair-gates are available if required. There are two hairdryers in the house. There's an attractive fully enclosed, private walled courtyard garden which is decked and paved, with lovely lighting for when it's dark. Large outside table and chairs, charcoal barbecue and also a hot shower for those returning from the beach! 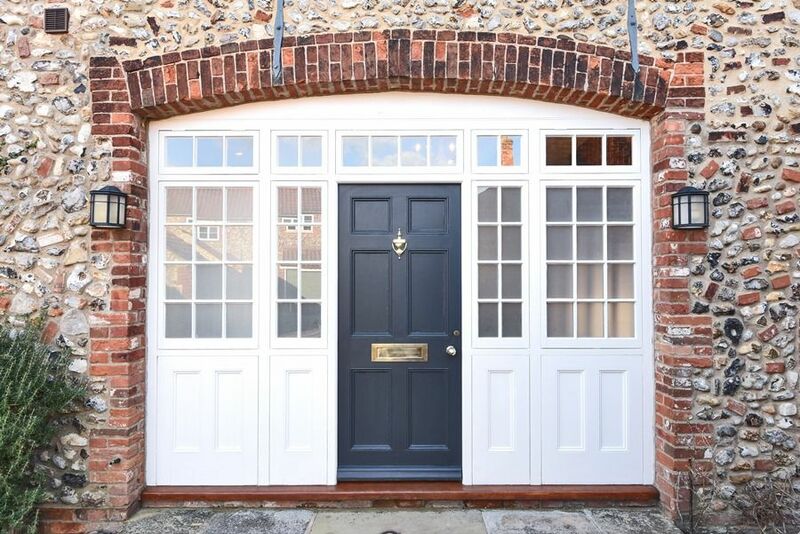 Whilst there is no off road or designated parking for this property, there is unrestricted parking on the road outside and in the surrounding streets. 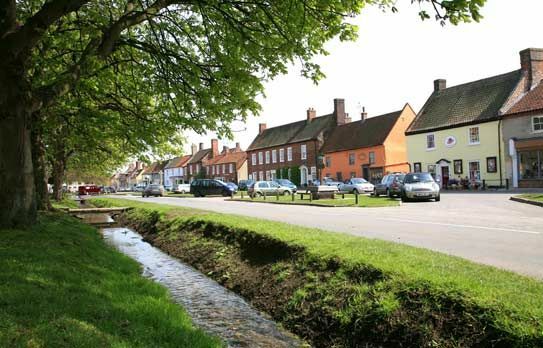 There is also a Pay and Display car park a 5 minute walk away. The house is beautiful and we have enjoyed our stay. Estcourt House was much better than expected - beautifully laid out with lovely finishings. Plenty of cutlery, glasses etc.Lovely wine and flowers - nice touch. Ideal for the whole family aged from 4 - 95! Lots of space and very well equipped with everything. Yes yes yes would stay again! 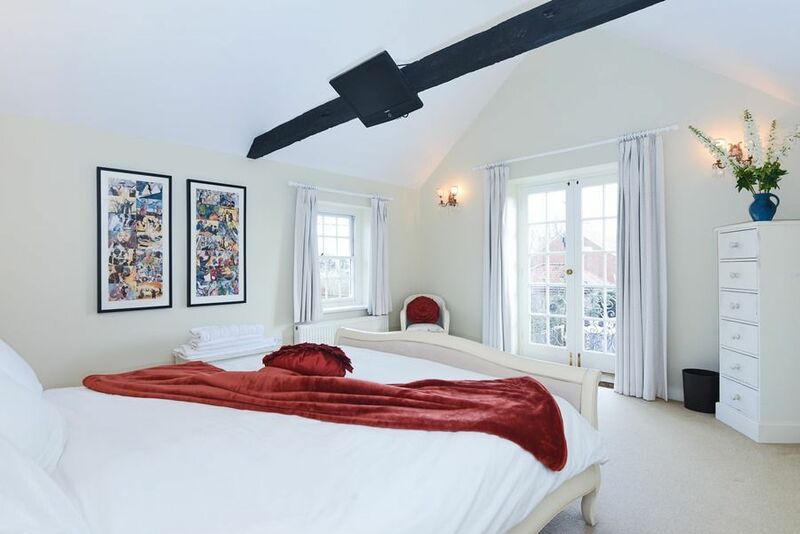 Beautiful house, lovely accommodation, very comfortable. A lovely relaxing holiday!! Lovely house, great village, wonderful time, will come again!! Lovely neat home. Great location to celebrate a family 70th Birthday, thanks!!!! Lovely neat home. Great location to celebrate a family 70th birthday, thanks. What a lovely way to start the New Year!! What a lovely weekend to start the New Year! A lovely Christmas holiday. Fantastic house in a lovely village. A lovely Christmas holiday! Fantastic house in a lovely village. Fantastic place to spend Christmas! We have really enjoyed our stay in your lovely home. Four days is not long enough. We have really enjoyed our stay in your lovely home. Four days is not long enough! Lovely weekend with my family in the house my grandparents lived in! Thank you. A very well appointed and comfortable home. Thank you for a very enjoyable stay. Lovely first stay at Estcourt House. We will be back! Beautiful house - we stayed here with our wedding party to get married - it was perfec.t Thank you! 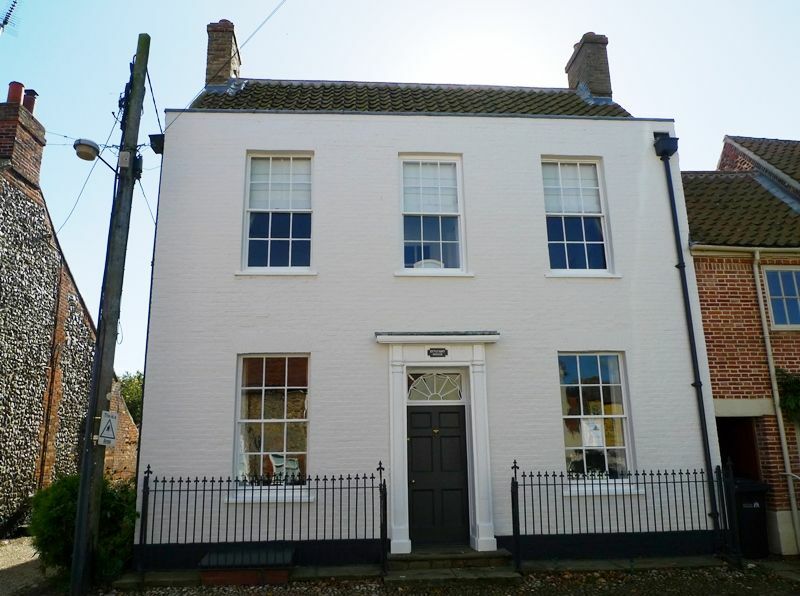 Love the house and have fallen in love with Burnham Market! Fab weather has made us want to stay another week! Fabulous house, great location. A great spot for a family holiday. 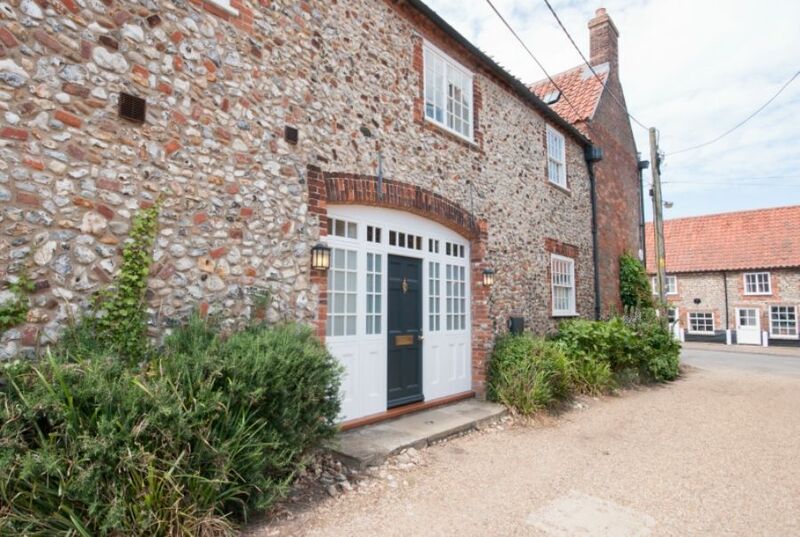 A beautiful home in a beautiful village in beautiful Norfolk. Our third stay at beautiful Estcourt House and again we loved every minute. A really super home and great space - so nice to have the Aga and outdoor shower after beach trips. We truly appreciated the quality appointment. Thank you very much. A great house for a multi-generational group. We'd stay here again. Outdoor shower was a hit! Beautiful home, fabulous stay. Thank you. - Wonderful, relaxing stay, beyond all expectations. - Fantastic house made for awesome girlie weekend. - Great House, great location, would come back. - Fabulous house, we could not have asked for more. - Lovely weekend. Haven't done this in a long time, we don't want to leave! Really lovely house/stay/location - perfect! Thanks. Many thanks for a happy weekend. Wonderful house! We had a fab time and loved the house and the weather being excellent made all the difference! Very comfortable house, all lovely. Thank you. Fantastic house, had a lovely week, 5 year old enjoyed the outdoor shower!!!! Thank you. Greta time, lovely house, had a great stay! Thank you. Lovely house, we had a lovely time, thank you very much!